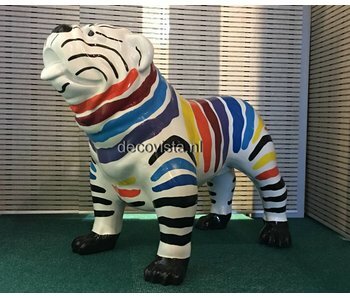 Animals made of polyester and provided with a special lacquer. These animals are weatherproof and can stand both inside and in the garden. 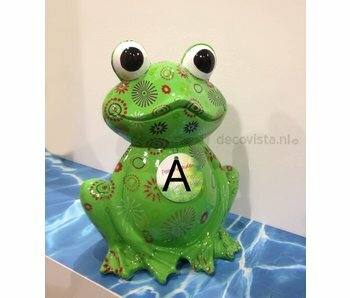 The objects can only be collected in the showroom. pig: L 100 x H 48 x W 40 cm. 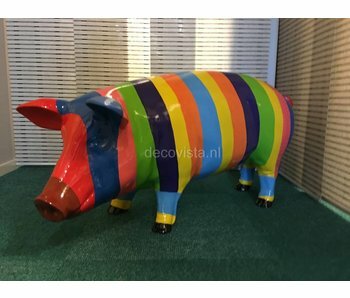 pig: L 100 x H 48 x W 40 cm. 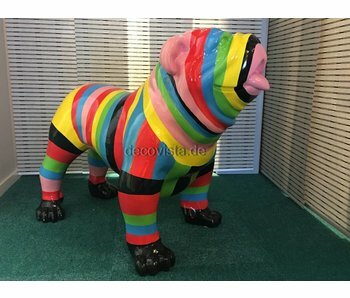 E.
Large colourful English bulldog figurine made (weatherproof). SIze L 90 x H 70 x W 50 cm. 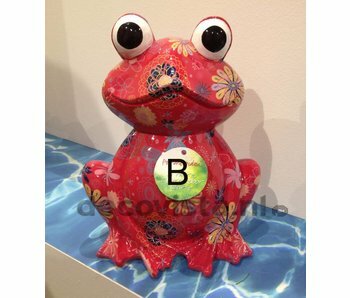 Outdoor Frog Giant Charlie is a weather resistant art object for garden or terrace. Size: 32 x 34 x 38,5 cm.